SAFIN HASAN said in a health camp in the campus, "Yes, I am addictive, hardworking, commitment, value and responsibility for the society. 'When the world believed that only words could be said by words, Charlie Chaplin smiled the whole world without even speaking a word. We believed that only women can cook, Sanjiv Kapoor gave the world his own cooking cuisine. Amitabh Bachchan is giving 3 films a year in the belief that aging is for retirement. Shah Rukh Khan became the king of Bollywood after breaking the belief that he would not get success without a film background. Due to the belief that money will draw money, Dhirubhai gave the message of 'Kar Lo jugan world muthi me' by surrendering the students of the industry. From this point we have to learn that we only have to decide what we have to do. 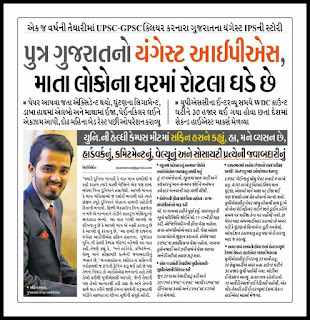 'These words are the Youngest IPS of Gujarat, Safin Hassan. He told this to the students in the Health Campus Meet of Gujarat University. 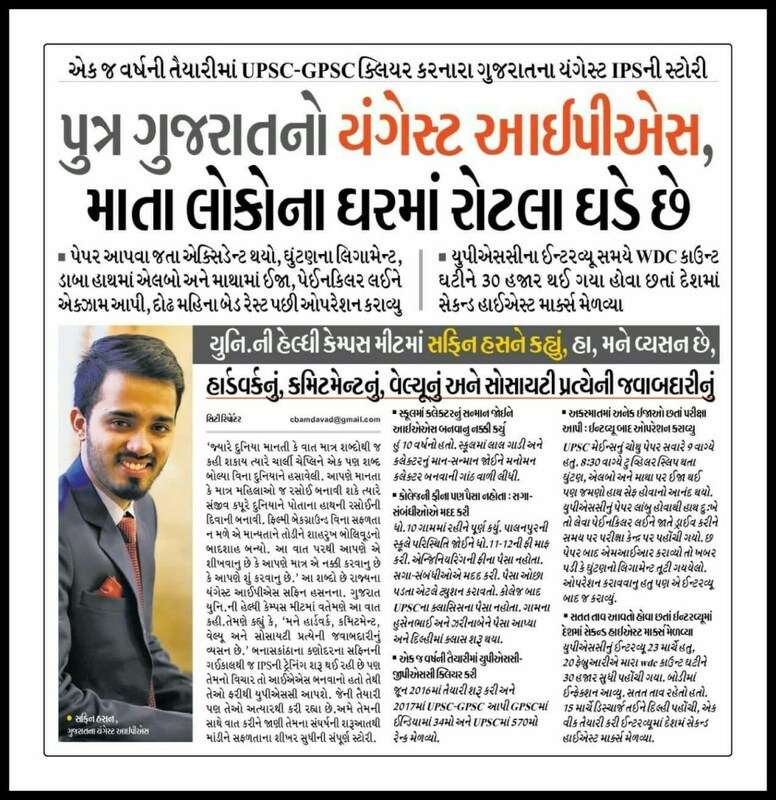 The training of IPS training is being started from Banaskantha's Kanpur village yesterday, but his idea was to become an IAS, so he has to give UPSC again. They are also preparing which they are currently doing. Talk to them by City Bhaskar, from the beginning of their struggle, from the beginning of their struggle to a complete story of success. I decided to become an IAS by looking at the collector's honor at the school. I was 10 years old. Seeing the red carpet and the collector's respect in the school, he asked the masseur, 'Who is this?' The answer is that, 'this is a collector, he is considered to be the king of the district.' Since then, he has become a collector of psychosis. With the prospect of moving into a car with a bulging car, started developing public speaking, public engagement, no fear, confidentiality. UPSC-GPS cleared in the preparation of the same year. Started in June 2016 and in June 2017, the UPSC-GPSC in a single year. GPSC has ranked 34th in India and 570th rank in UPSC. Subject in UPSC, Gujarati literature has been written and both are given in Gujarati only. Completed in Std 10 Village. Seeing the situation at a school in Palanpur, I waived the fee of 11-12. MA Standard 12 Had to do engineering. Admission was received in Surat but fees were not paid. Relatives helped Taking the money down to tuition, paying the hostel fees. After college, the goal of the UPSC was seen but classics did not get the money. Hussainbhai and Zarinaab, who live in the village, have to go to study and stay free of cost and have money to move and go to Delhi and start classes in Delhi.